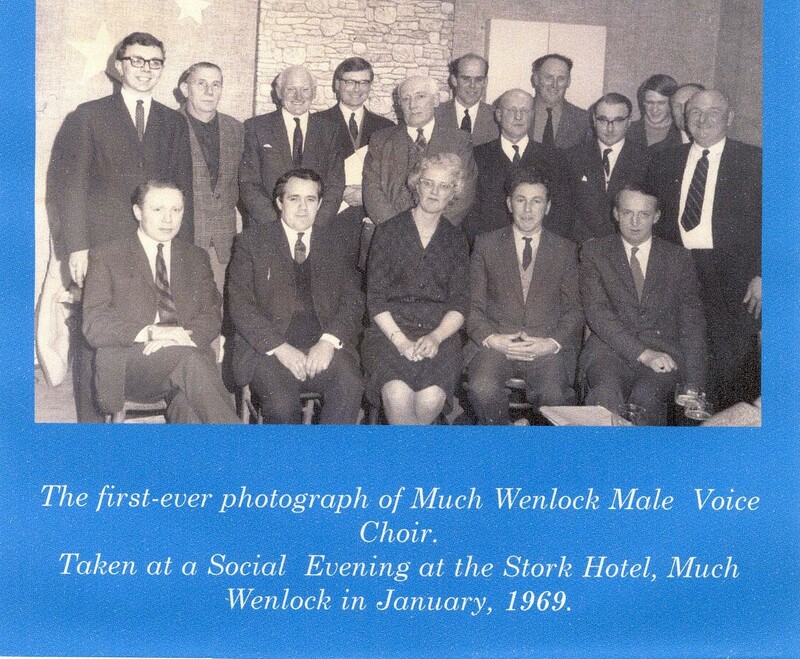 In 1968 a small group of singers met at a local public house in Much Wenlock and declared their intention to meet on a regular basis to sing for pleasure, and so Much Wenlock Male Voice Choir was born. The choir attracted members from a wide area of Shropshire and enjoyed continued success under the leadership of its founder Musical Director, Mrs Ceridwen Constantine, who combined a background of Welsh choral singing with formal music training at the Northern School of Music, Manchester. Under Mrs Constantines stewardship, over a period of 40 years, the choir developed a wide repertoire of more than 200 traditional and popular songs. Stage performances always being made without using sheet music so that songs truly come straight ‘from the heart’. Although the choir has taken part in Eisteddfods and musical competitions over the years. it is mainly non- competitive and the choir’s aim remains to ‘sing for pleasure’. 1980 saw the choirs first overseas tour, to Thiers in France and the choir has made some 25 tours, travelling widely throughout Britain and Europe, touring the Channel Islands, the Isle of Man, Ireland, Spain, France, Germany, Holland, Belgium and Atlanta USA. The choir formed ties with choirs in Holland, Germany and Belgium as well as the U.K, fostering international links and hosting choirs from abroad on their return visits to Shropshire. It participated in joint concerts with the Lon Dhoo Choir IOM, Icknield, Cwmtawe, Greater Manchester Police Choir, Northampton, Rhayder, Rame Peninsula, Llanelli, Newquay and East Fife, to name but a few. Mrs Constantine oversaw the release of three recordings, “Singing For Pleasure” recorded at the William Brookes School in 1975, “Were You There” recorded in Birmingham in 1980 and “On Wenlock Edge” recorded at the William Brookes School in 1996. In 2000 the choir attended the Jersey International Music Festival and were placed second in the male voice section. In the same year they participated in a massed choir event at the Manchester Evening News Arena “2000 in 2000”. The choir joined other choirs for massed choir concerts at Telford, Manchester, Llangollen, Cardiff, Dublin and Birmingham and participated in the Shrewsbury International Music Festivals, regularly sharing the stage in concert with choirs attending the Festivals. In 2009 the choir held its 40th celebration dinner and dance at the Shrewsbury Town Prostar Stadium. The choir toured Northern Ireland in May 2011, singing with the Bangor Ladies choir and also with Ballyclare MVC at the Presbyterian Church in Belfast and took part in the Olympics ‘Welcome Songs’ in 2012 when they were filmed by Central TV. The choir visited Gateshead, Tyne & Wear for a joint concert with Felling MVC in 2014 and toured the Lake District in 2015 year giving a joint concert with Barrow MVC at Grange Over Sands. 2016 saw a visit to South Wales for a joint concert with Abertillery Ladies Choir and this year the choir look forward to welcoming Barrow MVC to Much Wenlock. The choir were pleased to announce the release of their latest recording ‘Spirit of the Edge’ in December 2016; see ‘Gallery’ on this website to listen to a track and find out how to buy a copy! The choir has many loyal patrons and supporters whom it wishes to thank for their continuing support. Paul Kelly was appointed as the new Musical Director when Mrs Constantine retired in 2010, Mr Kelly brought a wealth of experience to the post, having started his conducting career with George Hurst at Canford Summer School and later becoming a private pupil of Ezra Rachin – a former assistant to Fritz Reiner. While living in Croydon he directed a variety of orchestras, choirs and bands including most of the Mozart operas, La Boheme, Cenorentola, The Bartered Bride and Hansel and Gretel with the Croydon Opera Singers. After a year spent studying at the Listz Academy in Budapest he returned to the UK to concentrate on a career in education, while he also studied part time for a masters in composition at Goldsmiths College, retiring from the post of Director of Music at the William Brookes School in Much Wenlock in 2005. Since then Paul has been Musical Director of Shifnal Chorale and has also revived his interest in trumpet playing forming Random Brass, a brass quintet. Pauls vision for the choir is to give greater time to developing and improving acoustic tone, using a series of exercises and increased practice of harmonic vowel sounds, scales and rounds. 50 pieces from the repertoire have been selected for maintenance and development and there are plans for some 16 pieces to be recorded and released as a cd over the coming year (2015). Paul has overseen a number of joint concerts with other choirs and instrumental groups. 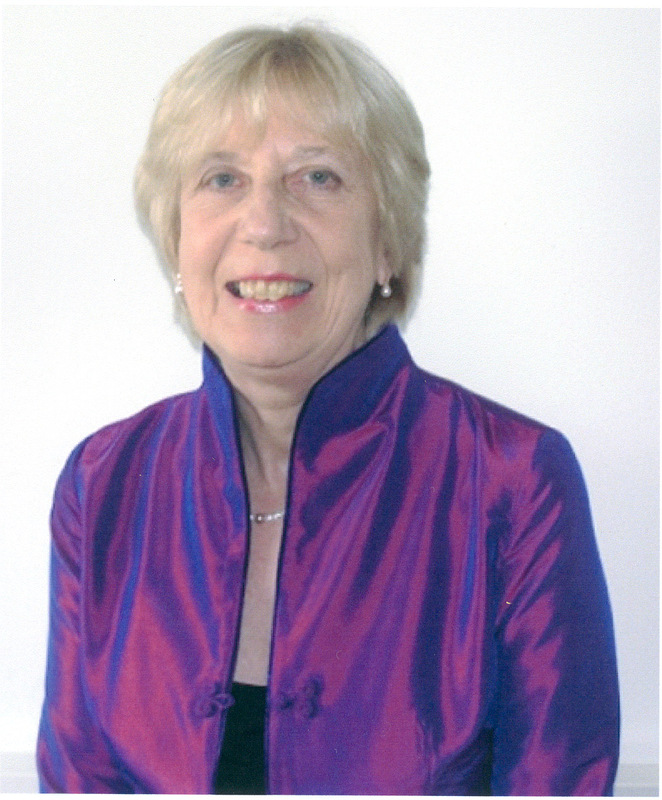 The choir was pleased to announce the appointment of Vivian Redfern to the post of Principal Accompanist in July 2015. Vivian was born in London and read Modern Languages at Girton College, Cambridge. She has combined her musical activities with a busy teaching career, spending most of her life in Shropshire, where she continues to be based. She played her first piano concerto with a local orchestra at the age of thirteen and has been much in demand as an Accompanist, appearing on the concert stage in the UK, the USA, Czech Republic, France, Spain and Slovenia. Vivian’s work includes a recording of Schubert’s Schwanengesang and performances of Sonatas by Brahms, Shostakovich and Cesar Franck with the violinist Helen Waring. She appeared with the Lydian Singers at a critically acclaimed recital of English music at the Music Conservatiore in Segovia, and a 2008 duet piano version of Brahms’ German Requiem was very warmly received. Vivian has given many performances with Newport and District Male Voice Choir and currently retains a post as its Musical Director, a role she has performed since 2009. She has great knowledge and expertise of Male Voice Choirs and Much Wenlock look forward to working with her in expanding and improving their current repertoire. The choirs assistant accompanist is Mr David Fisher, an accomplished and highly experienced pianist and a graduate of Trinity College of Music in London, where he gained a Fellowship Diploma in organ playing, as well as Teaching Diplomas in piano. During the 1980’s David conducted the Halfway House Male Voice Choir near Shrewsbury. Much Wenlock Male Voice Choir meets for rehearsals on Tuesday evenings 7.30pm, at the William Brookes School, Much Wenlock (during Term Time). The choir would like to increase active membership allowing more scope to broaden the range of material it can cover and is pleased to have welcome a number of new choristers over the past year. Why not come and give it a try, there is a great sense of camaraderie and we really do welcome new members of all abilities. Learn more about our choir on this site, or visit http://www.muchwenlockguide.info/ to learn more about Much Wenlock.